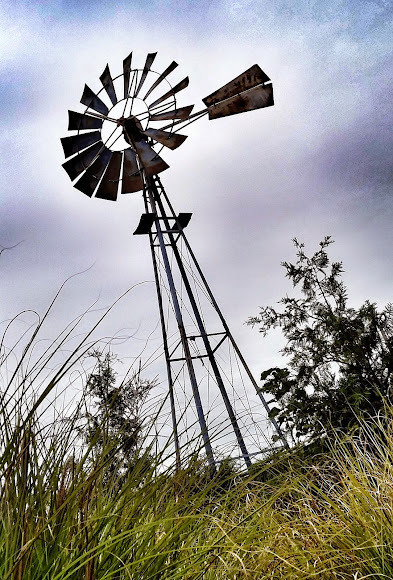 Ben's Journal: When is a Windmill more than a Windmill? Every time we pass through Baily's Crossroads I wonder about the windmill that's planted at the intersection of Columbia Pike and Route 7. I always assumed it was some sort of prop placed there to add a little home-town goodness to a soulless section of town. Not so. The windmill is all that remains of the 1950's garden that it used to help water. That's right, this was green tech before green tech was cool. The Battle Hymn of the Republic was authored there, after Julia Ward Howe saw a troop review and was challenged to improve the lyrics of a well known tune. See the original publication here that contained the lyrics. Consider that it was sung by both Northern and Southern soldiers alike and still played in a patriotic context today.. The Grand Review was held at Baily's Crossroads, at which 50,000 to 70,000 Civil War Troops converged. Lincoln was there to watch the spectacle, as were 20,000 to 30,000 spectators. Man, that must have been one heck of a show to see. For weeks Confederate Soldiers held nearby Munson's Hill. Their impressive defenses kept the Union at bay. Except, when it was all said and done, the fort was being protected by Quaker Guns--logs painted to look like canon and such. The whole incident seems quaint now, but at the time it must have taken nerves of steel to put your life on the line with only Chutzpah to back you up.